Made to compliment the Dwarven set as a medium high value piece above the gold coins! The front and back of the bar has recessed designs. As you might imagine, the pure silver plating is delicate so care should be taken if you wish your bar to remain in good condition. Limited Edition: These are the remaining inventory from our Kickstarter campaign and will not be made again with pure silver plating. All future versions will be antique like our coins. 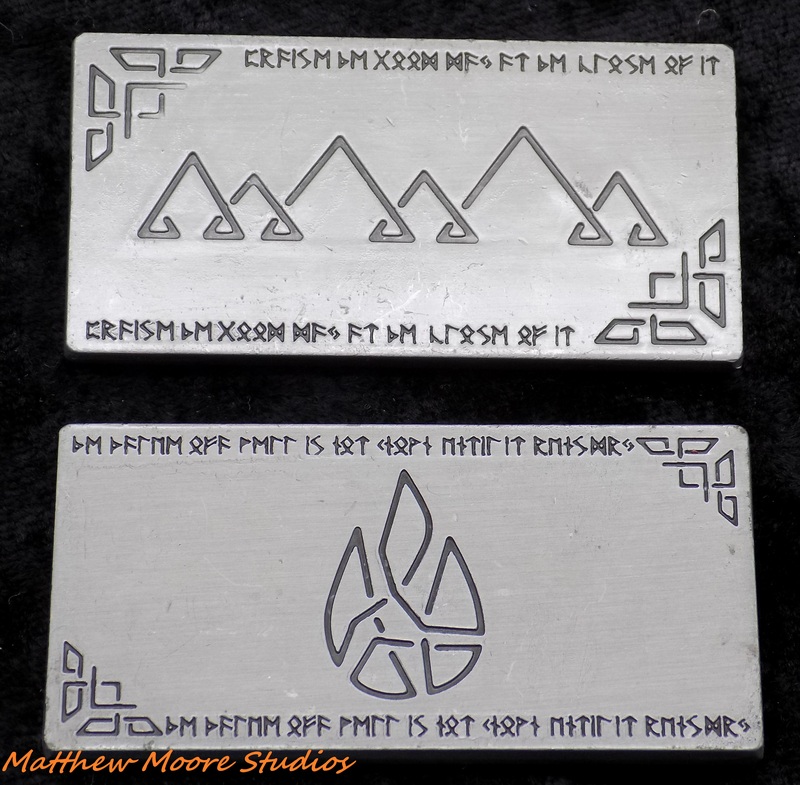 I picked up a couple sets of these small platinum bars at the same I got the small Dwarven gold bars. I mixed them in with gold bars and coins to create my version of Smaug's treasure hoard. Smaug would definitely approve! These add a separate denomination to our games. In quantity, they weigh a lot. I love the simple design to the front and back, and add a lot to the simple elegance of the bar.